Give athletes a comfortable sports bench to sit on as they cheer their fellow teammates to a winning victory! A team bench guarantees your park, athletic field, locker room, ballpark or court will be comfortable for everyone - on the field, or off! 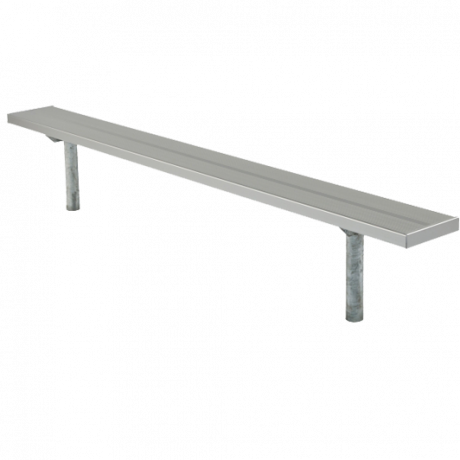 These multi-use team benches are available in portable and stationary mounts, which can be placed in grassy fields or on gym and locker room floors. Whether you are looking for a portable soccer bench, a stationary football bench, a baseball bench for your dugout, or locker room benches for the inside, ParknPool has the selection! Overexcited players running off the field won’t tip over the portable benches due to the extra wide metal bases and cross braces which make the benches stable and wobble free. The stationary benches have legs that are buried at least 20” into the ground (4” of topsoil and 16” of concrete) meaning these sports benches cannot be tackled to the ground! A surface mount installation for paved areas is also available. 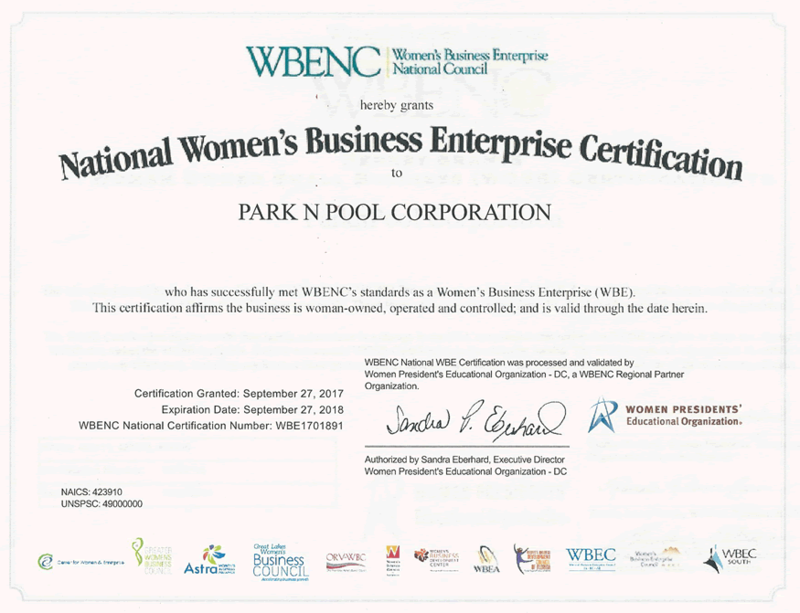 Most of the ParknPool team benches have a wider 15" seat compared to a normal park bench seat width of 12". 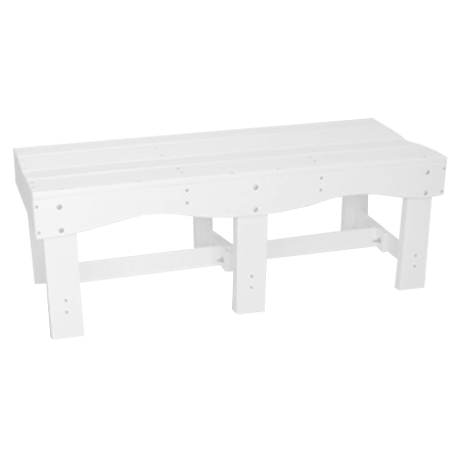 These simple yet exceptionally functional stationary and portable sports benches are made with 2 3/8” O.D. Schedule 40 steel tubing with several plank options for the seats and tops. 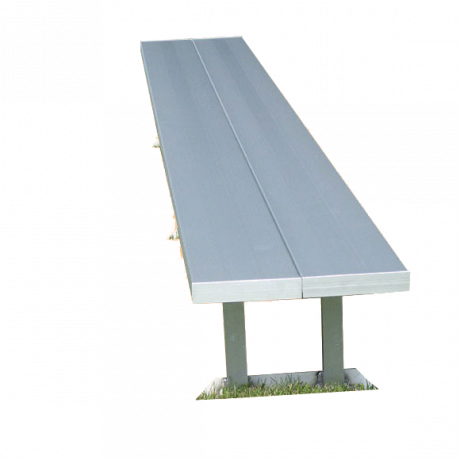 Choose from aluminum, wood, fiberglass, recycled plastic or plastisol coating to find the players bench to perfectly complement your athletic facility. 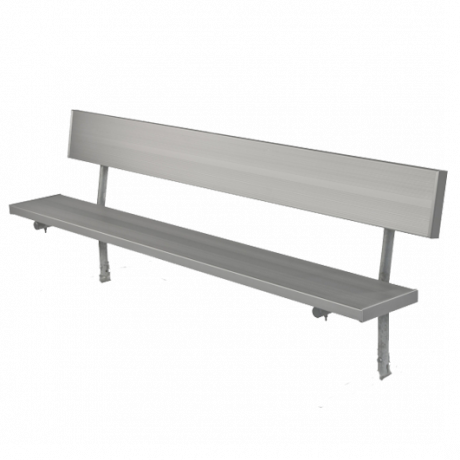 At ParknPool, there is also a line of dugout baseball benches for sale that have a back shelf to hold baseball gloves and batting helments. 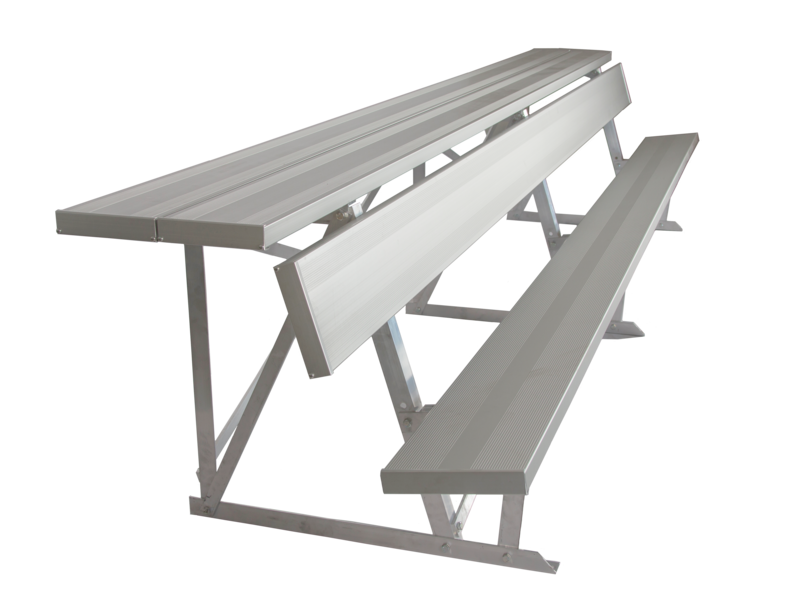 Your spectators will also need a comfortable place to cheer for their teams, so give them somewhere to sit on a set of portable bleachers, aluminum bleachers, or the highway towable speedy bleachers! For more information, call and let our knowledgeable sales staff help you choose the players bench that is perfect for you!